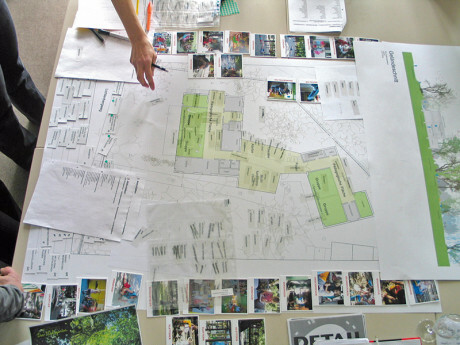 The Baupiloten BDA led a participatory process for the new construction of a Kindergarten for 100 children. – consisting of an abstracted floorplan in addition to everyday-life, experts, activities, and atmosphere-cards – the potential conflicts of interest were quickly identified, negotiated, and resolved. One result of the negotion game for example, was that the area between the group – and common-rooms should be diversely used and educationally adaptable.